Rolling Meadows Firefighters | We are here for you. We are the firefighters and paramedics of the Rolling Meadows Fire Department. We love the community we work in and thrive on helping the citizens of Rolling Meadows. We created this website because we want to keep everyone up to date with what is happening here at the department and in the city as a whole. Please click on the links above to explore our site. If you can’t find what you’re looking for, please let us know! The City’s Holiday Tree Lighting is just around the corner! Mark your calendars for Thursday, December 5. Festivities begin at 6 p.m. at the McDonald’s restaurant on Kirchoff Road. Join us for carolling, hot chocolate, and a visit from Santa–who is making a special trip from the North Pole to help us kick off the holiday season! Also, from 5 p.m. until 7 p.m. the Rolling Meadows Community Events Foundation will be holding a fundraiser at the McDonald’s. We look forward to seeing all of you! 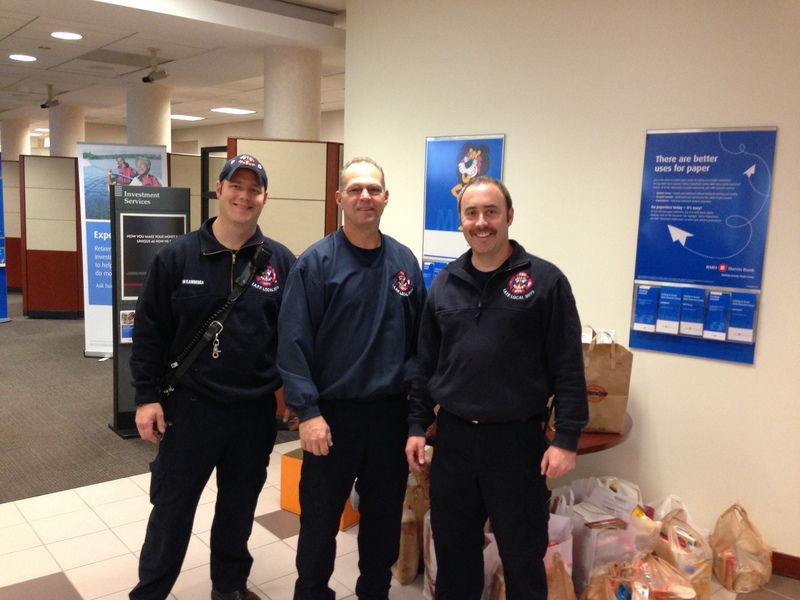 Each of the three Rolling Meadows FD shifts pooled their money and donated several Thanksgiving baskets to families in need. This donation has become a great tradition, that all of the firefighters enjoy being a part of! Rolling Meadows Firefighters Local 3075 would like to welcome FF/PM Matt Cappelen. Matt comes to us with experience from other departments, and is already fitting in well with his new shift. 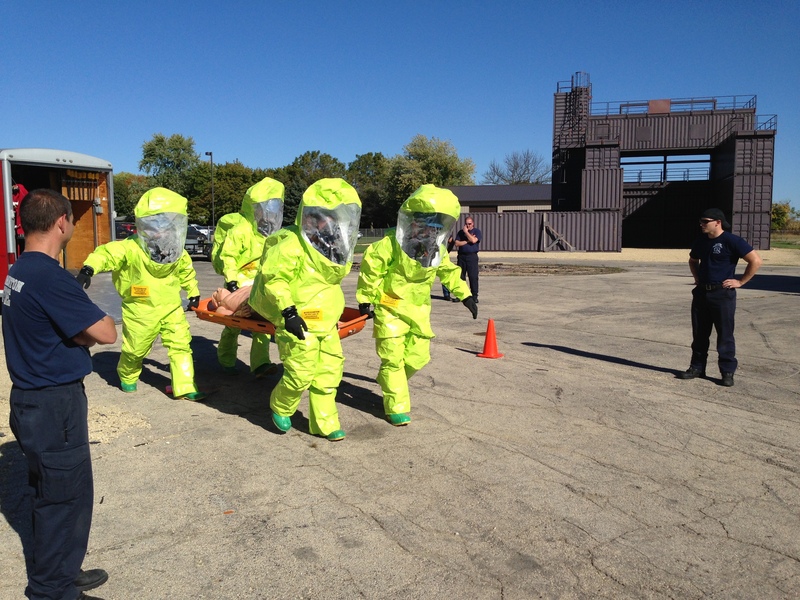 RMFD FF Colin Barr attended a weeklong “Statewide WMD Response: Hazardous Materials Technician A” class, sponsored by the Illinois Terrorism Task Force, on October 7-11, 2013. In the class, instructors from around the state shared their knowledge about chemical, biological, radiological threats and containment/cleanup procedures. Firefighters practiced putting on protective HazMat suits, and performing difficult tasks. The class culminated with several large-scale, mock-HazMat events. 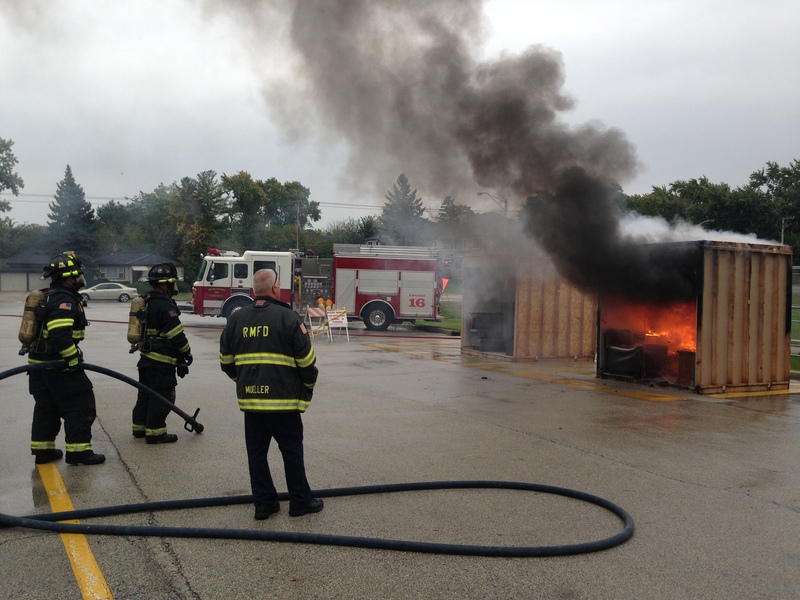 Rolling Meadows FD Open House a great success! Thanks to all the Rolling Meadows residents who came out to make the 2013 Open House a rousing success! There were several demonstrations, including a vehicle extracation (Jaws of Life!) airbag demonstration, technical rescue, and a sprinkler room demo! Rolling Meadows Firefighters Local 3075 would like to welcome Firefighter/Paramedic John Loesch, Jr. to the Rolling Meadows Fire Department! John is a lifetime resident of Rolling Meadows, and comes in with 1.5 years of experience at other departments. Rolling Meadows Firefighters would like to welcome FF/PM Zach Wynveen to the RMFD. Zach comes to us with experience from Wood Dale Fire Department, and looks forward to making a career at RMFD.